With the real estate market coming back there is a good chance that you have already hit the Internet and started seeking out opportunities to supplement your income. In fact, you might already be flipping, remodeling, or selling homes. Whatever the situation is, you have probably been hearing the term “House Hacking” come up quite a bit, but don’t really know what it is. Maybe you know someone that has mentioned the term to you. House hacking is an extremely excellent way to make the most out of your living situation and earn a few bucks while doing so. However, before you just jump right into the venture you need to understand everything there is to know about the market, and that is exactly what you are going to learn below. So, by now you are probably excited and wondering what house hacking is. Well, house hacking is basically just the concept of purchasing property that you can live in, while you rent out other parts of it. For instance, you might be able to invest in a 3-bedroom home with a 2-car garage and rent out the 2 bedrooms and garage to other tenants. These tenants would pay your rent, which you could use to pay the mortgage on the home or utility costs. In fact, you could use the extra income to do whatever you want with. 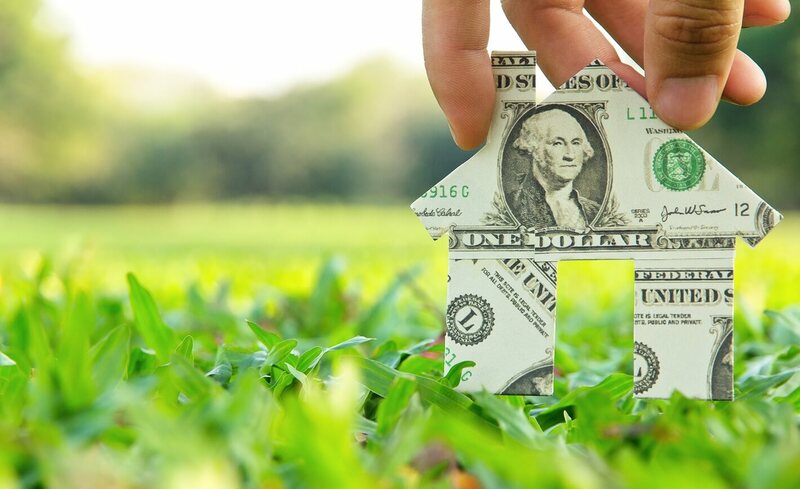 You are basically getting other people to pay for your housing expenses, which will give you the opportunity to seek out other real estate investments. As of right now, some of the benefits of house hacking should be pretty clear, but just to reiterate, below you will discover some more of the benefits that you can receive by taking advantage of house hacking. Of course, as mentioned above the biggest benefit is going to be that you basically get to live in the home for free, while other tenants pay for your expenses. However, the mortgage and utilities will be in your name, so if something goes wrong you are going to be responsible. But, as long as you run background checks and choose reliable tenants, you should be just fine. Another big benefit is that the transition periods will be much smoother. What this means, is that since you are living with the tenants you will get to know them pretty well, as well as learning what type of tenants your home attracts. This means that when you pay off the mortgage and move out you will feel much better about the hands that the home is left in. In addition to this, you will learn about investing and making relationships with tenants. When someone first gets into the real estate market they make mistakes. It is only natural, but mistakes are much easier to rectify when you are living on site and can personally oversee the situation. You also have to remember that when all is said and done you are eventually going to own the home, so you can do with it as you please. How To Run The Numbers On A House Hack? To run the numbers on a house hack, you will need to include the monthly rental income, vacancy reserve, property taxes, property insurance, maintenance and repair costs, utilities, business license fees, principal and interest payment, positive cash flow and Net Operating Income (NOI). Do not focus solely on your monthly cash flow numbers, because the price you pay for the property is just as important. Buying property below value is ideal for house hacking. If you want to come out on top, you will definitely want to avoid overpaying for the property. Totally up your NOI, you will need to start with your gross rental income and then subtract the property taxes, vacancy and credit loss reserve, property insurance, maintenance fees, utilities and other expenses. The final number will be your Net Operating Income. It is true that there have been plenty of bad landlord and tenant relationships. In fact, you might have experienced one in the past. Due to this, it is possible that you might be a little hesitant about becoming a landlord. The main thing to remember is that you get to choose the tenants. Of course, you should never discriminate based on color, race, or religion, but you do have the advantage of running background checks and setting certain requirements for becoming a tenant. Yes, from time to time there are going to be maintenance issues and late-night phone calls that you have to deal with, but you always have the option of hiring a handyman to handle all of these situations for you. With the right amount of strategic planning, you should easily be able to fit this into your budget. At the end of the day, it might turn out that you like getting to know these people and make some real connections that you can carry on for the rest of your life. A lot of people believe that being a landlord is hard. Guess what? It is. Nevertheless, you’ll be able to pull it off. Being a landlord requires experience and you’ll never get that experience without jumping right in. You need to stop second-guessing yourself. Go ahead and take the leap of faith. Give yourself a chance to experiment and learn via trial and error. Before you know it, you’ll get the hang of it and you’ll become a great landlord. A lot of people mistakenly believe that they’re going to have a difficult time finding a good deal. Or perhaps you’re worried that you will not be able to find a suitable property in your town? Tough. Finding a good deal is one of the most challenging aspects of house hacking, but you can do it. Always keep your eye on the prize. You shouldn’t be afraid of the challenge. Instead, you should always be willing to accept the challenge head-on. As long as you work diligently, you can do it. Do you really want to be a house hacker or not? Even if you cannot find a good deal in your town, you might be able to find one elsewhere. You shouldn’t be worried about moving a town or two over. In the long run, it’ll prove to be well worth it. Before attempting to purchase your first home, you should make sure that you’re actually ready for it. If you do not have the money, you should first get your life in order. House hacking isn’t for everyone. In fact, the broke need to take steps to get some money first. You cannot be a house hacker without money. After you’ve gotten your finances in order and you have enough money, it is time to buy your first home. Once you’re ready to go, you should find out what properties are best. Multifamily homes are always recommended. The rent that you’ll receive from your tenants will cover the property’s entire expenses and so much more. In order to buy multifamily homes, you’ll need to find those properties. Multifamily properties are readily available, so you will not need to search too far. Working with an agent is ultimately a good idea. The agent is generally paid by the seller, so you will not have to worry about spending anything. Also, use the Internet and speak with your relatives. Always look for homes with at least two, three or four units. Five units or more is simply too much and too complex for house hacking. To ensure you’re able to get the most from your house hacking endeavor, you should make sure that you’re actually getting a spectacular deal. Unfortunately, at least three-quarters of the multifamily properties on the market aren’t going to cut it. You need to ensure that your property of choice is actually going to generate a steady cash flow. Take the overall income of the property and divide that number in half. Now, consider your loan payment. The leftover amount is your estimated cash flow. If the deal isn’t worth it, you shouldn’t even bother. Once you’ve found a suitable home, it is time to move forward and seal the deal. After that, it is all about finding tenants and racking in the money! House hacking is undoubtedly a great way to get started in the real estate industry. In fact, it can even be a way of life for many. If you want to live a happy, fulfilling and financially stable life, you should definitely consider getting involved in house hacking. Just make sure you use the information provided above to guide you in the right direction.